This tutorial explains how to install Lightning on Icedove. 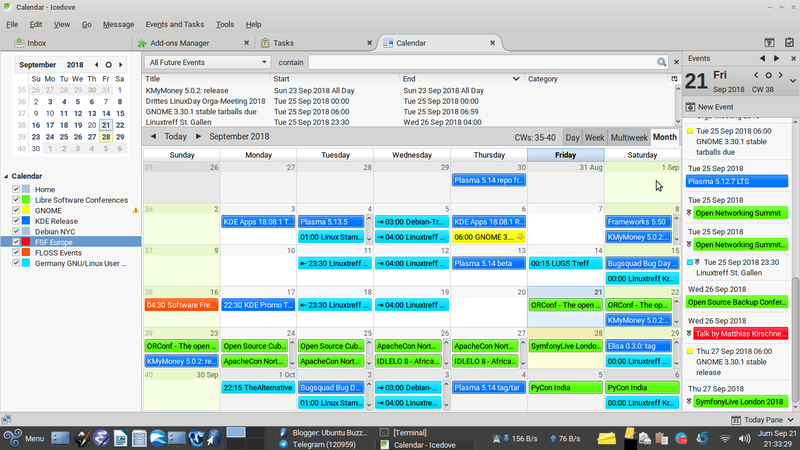 This makes your Icedove acts as a complete calendar application like KOrganizer or GNOME Calendar. 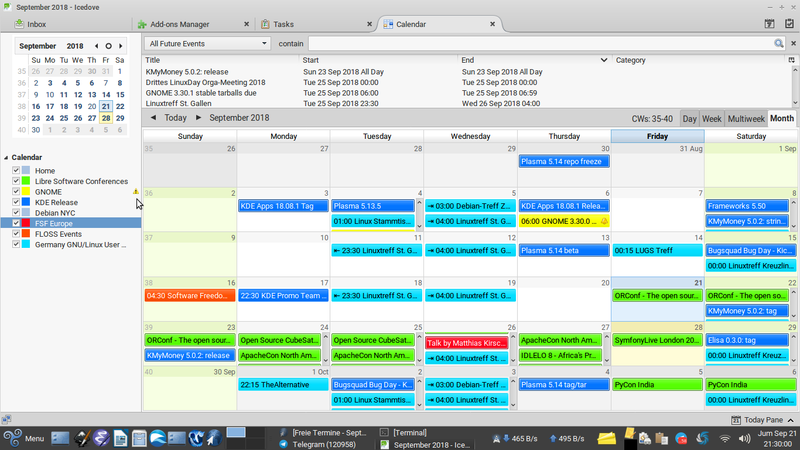 You can import ICS (iCalendar) files or subscribe to any online calendar or create a new calendar from scratch. As many of you may know, Icedove mail client is a derivative of Mozilla Thunderbird, but installing addon on it may be not easy. 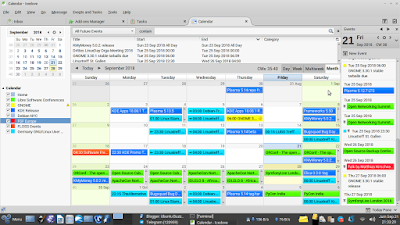 If you use Trisquel or Debian operating system, and use Icedove, this article is for you. Happy scheduling! Every Thunderbird (here, Icedove) addon is actually an XPI file. It's a file with .xpi file name extension. 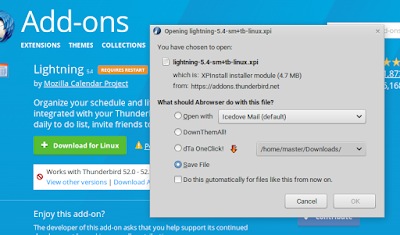 To install Lightning addon of course you will need to download the Lightning XPI. Go to Thunderbird addons center. You get an XPI file. 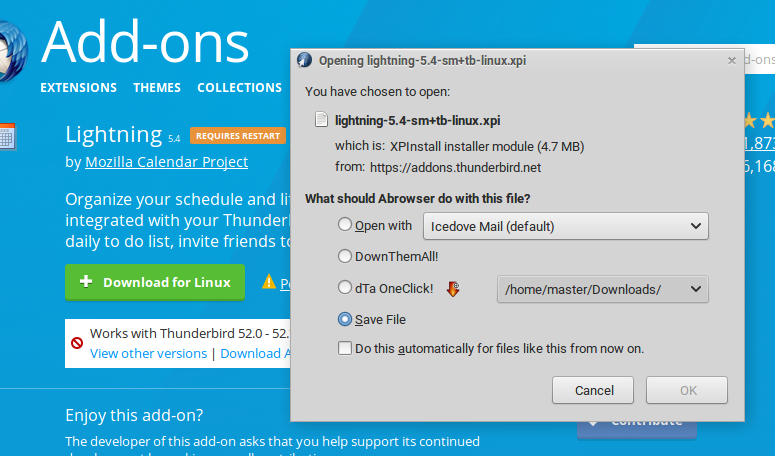 For example lightning-5.4-sm+tb-linux.xpi. Go to menu > Addons. 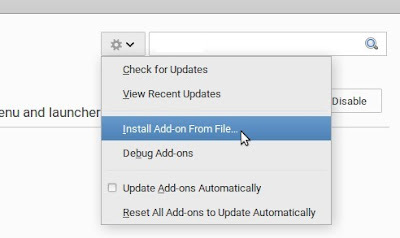 Click gear button (beside search box) > Install extension from file > select the XPI file > OK.
See also Debian interesting new calendar project. Enjoy!